“This looks promising,” Gerry says. I put the airplane, a little Cessna 172, tail number One Two Whiskey, into a hard right turn, following his hand pointing out the window, and lower the nose toward the earth of the Red River Valley. For just a moment we are both a bit lighter in our seats. I am aiming for a stand of trees, five or six rows deep, what looks like oak and evergreens bordering a gravel county road. The airspeed indicator climbs past 110 knots. “You just can’t tell, can you?” he asks. 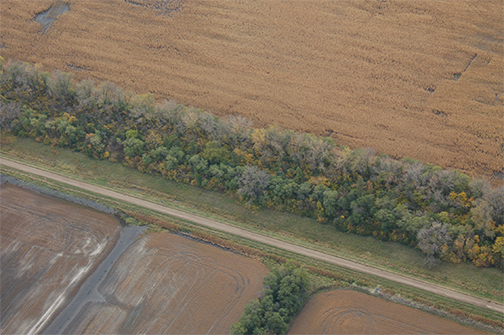 One thousand feet above the prairie, I pull back on the yoke and we pass another row of trees as I bank the airplane to the left, heading a bit more south. Gerry scans the prairie landscape to the horizon. All I see is farmland below us, divided into neat and orderly sections. A week or so past harvest, the land looks dry and empty. Desert, almost. Flatland. 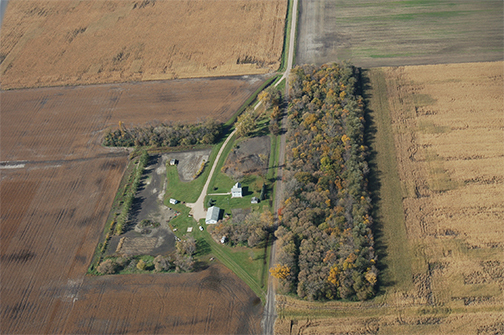 A few rows of trees protect farmsteads but the overall image is almost frighteningly open and exposed. Gerry and I are on a mission. We are looking for a wall. A huge wall. An old wall. A wall big enough to stop the wind. Imagine what must have been a very strange conversation. “Build a wall,” someone said. “They’ll just go around it,” came the practical reply. It could have been in the 8th Century, BCE. It could have been much later, somewhere between 403 and 331 BCE. It could have been during the Spring and Autumn period. It was certainly somewhere in the seven states that now make up China. “Then build a really big wall,” the first person said. “Not tall,” he continued, “just really really long. Connect what we already have.” He might have stood in the middle of the room, arms outstretched, a smile on his face. Perhaps there was silence, or laughter, or outrageous argument. Perhaps the guy was tossed out of the room and into the muck of the street. But at least one other person sat back in his chair, his mind already whirring with the math. We climb. One thousand five hundred feet above the North Dakota prairie, Gerry and I are looking for a wall. Huge, I tell him. Magnificent and enormous, I say. It was supposed to be a hundred miles wide, stretching all the way from Canada to Mexico. Not a hundred miles thick, but an interlaced system of rows of trees evenly spaced that would stop nothing less than the wind itself. Dust Bowl days. The whole of the farmland Midwest in drought, the soil turned and baked, then lifted by the wind and carried off in great walls of silt and suffering. The evidence should be everywhere. When a story gets big enough, it leaves its marks on the earth. Glaciers dig out the Great Lakes and fill in the Manson Crater, leave marks on Dakota fields. Long Island is a terminal moraine. Ancient riverbed rocks betray the old course of the Yukon River, south to the Pacific Ocean. A rock from heaven makes Lake Manicouagan. Old trails in the desert and forest and grasslands still nearly glow in evening light. Or maybe it’s the other way around—marks on the earth are the syllables of words of stories, dreamtime songlines for all of us. It doesn’t matter. Sometimes you hear a story and you want to touch the earth. Sometimes you touch the earth and want to hear a story. I don’t remember when I first heard this story. A living wall right down the middle. A wall to stop the wind. The evidence should be everywhere. But I know from the ground I will never see the whole hope. What I need is altitude. We can’t find any trace at all. Clear late September sky. Bright sun. Temperatures in the 60s. A steady wind from the north at 20 knots, forecast to increase as the day goes on. The airplane lifts easily off the runway and we turn left, west, and then left again, southwest., leveling off at 2500 feet above the sea level, only 1500 feet above the ground. A perfect altitude for scanning the land. This is where the maps show the wall, and the story, should be. The dragging and scouring of glacial ice. The shape of old Lake Agassiz. The flooding at Devil’s Lake. We should be able to find this wall. We fly over the grasslands, beautiful in late summer color, through sunlight reflecting off river water and silo tops. West of the airport, North Dakota seems as ordered and measured as a chess board. Every mile a section road running north and south. Every mile a section road running east and west. A farmstead on nearly every section. The grains and beans have been harvested. Sugar beets just beginning to be lifted. Gerry is a field biologist, a specialist in streams and river ecosystems. Long time chair of his department at the college and deeply, creatively curious, it would be difficult to find anyone who knows the prairie better. “The perspective up here is wonderful,” he says. We pass West Fargo and the Interstate highway. There are very few trees. Some small stands protect the north and west sides of homes. A grove of shade trees offers comfort at a small and isolated cemetery. We pass the town of Davenport and head southwest toward Leonard. In front of us the land changes completely. Level fields change into the sand hills. Open cropland becomes forest. This is a continental divide. North of the hills, water flows to the Red River and then to Lake Winnipeg, eventually to Hudson Bay and then the North Atlantic. South of the hills, water flows to the Missouri River, then the Mississippi, then the Gulf of Mexico. Fast forward to 122 A.D.
Somewhere in Britain, or perhaps Rome, important people are talking about their border problems. The Scots just keep coming. “Build a wall,” someone suggests. “They’ll just go around it,” is the practical reply. There is silence, or laughter, or outrageous argument. Perhaps the guy is tossed out of the room and into the muck of the street. And then fast forward another one thousand seven hundred and eighty-eight years. The French, after World War One, look at Maginot and the continuing threat of the German army. “They’ll just go around it,” was the practical reply. 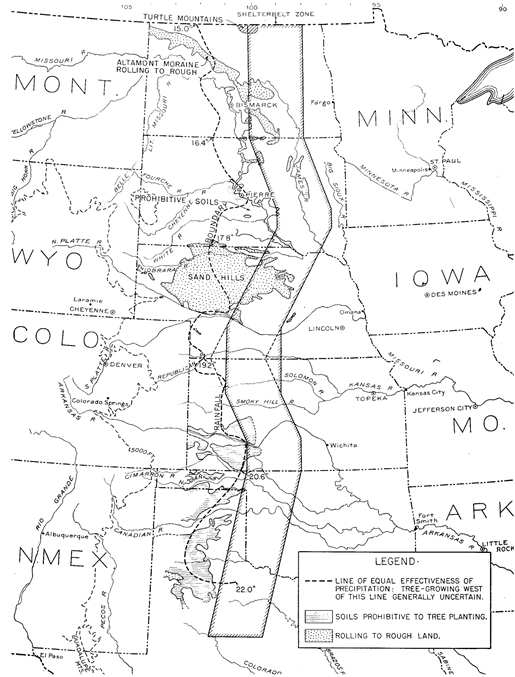 Plains forestry became front-page news in the summer of 1934 when the Department of Agriculture and Forest Service announced to the nation the enormous Shelterbelt Project. The New York Times and Herald-Tribune explained to a puzzled public that President Franklin Roosevelt had issued an executive order allocating $15 million in drought relief funds for a tree-planting project on the Great Plains. And that was only the beginning. Over the next ten years, Roosevelt would request $75 million for the project, which was a huge sum of money in 1930s America. The project was equally large. The plan called for constructing a one hundred mile wide zone of shelterbelts, spread one mile apart, and running continuously from the Canadian border to the Texas Panhandle. The 1200-mile long parallel forests would be America’s Great Wall, holding back the dust, drought, and despair of the Dust Bowl. Although public reaction was a mixture of ridicule, adulation, and sheer disbelief, the plan was everything that some foresters had long dreamed of for the Plains. They believed that the Timber Culture Act had failed, not because trees had failed, but because farmers had lacked the necessary knowledge and skills. Likewise, the reserve movement had been a good, but under-funded, idea in need of more systematic planning. Plans for cooperative tree distribution were by their very nature, too limited and too prone to some of the same failures as the Timber Culture Act. Foresters hoped that the Shelterbelt Project would correct previous errors by bringing the full scientific, budgetary, and bureaucratic might of the federal government to bear on the problem. March 21st, 1935. Hugh Hammond Bennett, Big Hugh, a man from North Carolina extraordinarily interested in soil conservation, the man who would eventually found and lead the Soil Conservation Service, is testifying at a Senate hearing. Too many years of bad practices, he says. Too many years of “black blizzards.” The country needs to get its farming to match its farms and its weather. But he might as well have be wearing a sandwich board reading “Repent! The End is Near!” The senators, according to the story, could not be more disinterested and bored. The problem is obvious. The wind is picking up the prairie soil and taking it away. North Dakota dirt fills the windowsills and gutters of Pittsburgh and Roanoke. South Dakota, Nebraska, Kansas, Oklahoma and Texas recoat the Appalachians and Alleghenies. The dust bowl is real. Too much dirt has been turned over and loosened for planting. There isn’t enough rain to keep it all in place. Drought is here. Famine is on its way. To say the rain follows the plow was a wonderful slogan. Too bad it isn’t true. Bennett knows a storm is coming. His speech lingers. His weather data is excellent. Soon, he thinks. He adds a few details. The senate windows are open. Glasses of water are set out. And then it hits. Rolling in from the prairie and over the mountains a cloud of yellow dust covers the capital, billows through the open windows and collects on glasses turning to mud. “This, Gentlemen, is exactly what I’m talking about!” he cries. 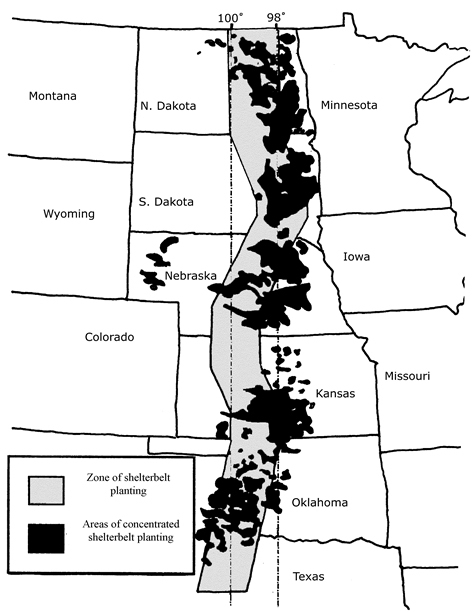 Possibilities of Shelterbelt Planting in the Plains Region,” National Forest Service, 1936. Build a wall to keep something out, they said. Build a wall to stop the invasion. Five thousand five hundred miles for the Great Wall of China. Seventy-three miles from one end to the other for Hadrian. Yes, something there is that doesn’t love a wall, but that’s never stopped us from trying. Maginot Line, Berlin Wall, Israel-Palestine Wall, the border fence between the U.S. and Mexico. The Greenbelt in Niamey. The Green Dam in Algeria. The Greenbelt in Nouakchott. The levees to keep the water out of New Orleans, the dikes to keep Amsterdam dry. Sandbag walls in Fargo and Moorhead. Castle walls fronted by moats. Walls around cities with names like Kowloon, Rhodes, Lucca and Jericho. Joel Orth is an assistant professor of History at California Polytechnic University in San Luis Obispo. The view outside his office is an ally of jumbled Australian Orange Berry and Iron Bark gum trees. Tree squirrels sometime run the branches. He is also the author of a Ph.D. dissertation titled “The Conservation Landscape: Trees and Nature on the Great Plains.” Chase any idea and soon enough a name gets repeated. I still cannot find any good map, so I send him an email. The answer comes from Belgrade, Serbia. I’m very out of the office so I can’t give you some of the specifics you might like, but it’s such a delightful project that I couldn’t help but reply quickly. 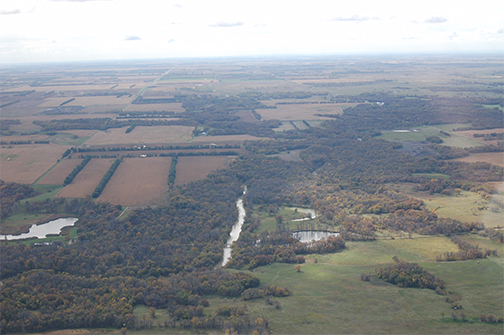 The Soil Conservation Service (now Natural Resource Conservation Service) did some aerial surveys in the 70s. You can probably find the blurbs about these in the SCS magazine of that era. They may also still be able to put you in touch with the actual people or results of those surveys. The finding in a nutshell were that A) aerial surveys worked, and B) the shelterbelts were getting cut down rapidly to make room for center-pivot irrigation. This was also the big era of changed agricultural policy: from holding back production to hold up prices to price supports to encourage increased production. The best source of records for the project are at the Regional National Archives in Kansas City. Aerial surveys, yes. Marking which shelterbelts came from the 30’s? No. Phone calls to Kansas City as well as College Park? Very nice people. No joy. Gerry points at some trees back toward the east and the airplane turns to chase. There is a windspeed indicator on the panel and I notice the wind is climbing. 25 knots now, straight out of the north. The airplane points slightly windward of our goal to counteract the push of the breeze. Someone on the ground would say we were flying slightly sideways. Gerry is in charge of the camera and he takes a picture, a stand of trees, three or four rows deep, deciduous trees in full fall color making a right angle around the north and west side of a farmstead. Then another picture of another farmstead with the same arrangement. “Look at this one,” Gerry says. He points to a stand, six or more rows deep, set against a county road. A farmstead sits on the other side of the road, protected by the trees, but the whole thing just looks like the trees came first. I admit I just don’t buy it. When you take an airplane off the ground, it’s not so much that the cars and homes and fields get smaller as much as the planet gets huge. The horizon races away faster than you climb. Just this short leap above the prairie and I cannot believe a tree, any tree, any hundreds of miles of millions of trees would do any good. The atmosphere is a thin layer on our planet, but the globe is big. I think I know the idea. Shelterbelt to stop the wind. A row of trees that acts just like a snow fence—deflect the wind up and you create a low pressure area behind the fence where the snow will gather and drift. The goal is not so much to stop the wind as it is to empty the wind. Better yet, the idea is to stop the wind from picking up the soil in the first place. But one thousand five hundred feet above the prairie, every tree and every shelterbelt seems trivial and small. The cottonwoods and burr oaks and poplars and evergreens cannot make any difference at all, I think. The air, even this low, is fat and lumbering and an impossible force to stop. This is the prairie. Hell, this is North Dakota. This is the place where cars wiggle when they drive through an underpass because suddenly the crosswind stops and drivers can actually drive straight until the other side when they have to steer into the breeze again. Say something like “gentle prairie breeze” in conversation and people here will laugh at the joke. On the prairie, the press of the wind against your face is as familiar as breathing and as intimate as a kiss or a slap. It is always there. East of the Rocky Mountains, the wind is the huge breath of the planet’s breathing. If it stops, people get edgy and strangely worried. It only stops when a bigger wind is on the way. If you are standing on the ground, a tree is tall and firm and strong. From the air, it’s a thin twig of hope at best. I call a friend of mine, Paul Seifert, another physics professor, to make sure I have the process right. And soon, a beer in his hand and a beer in mine at Atomic Coffee, we are looking at math problems. “Here are the equations needed for projectile motion on the Earth,” he says. He points at the first one. “This is a basic kinematic equation.” He’s written a dozen formulas. He turns the paper toward me and then, seeing my face, pauses. “Ok, how much of this don’t you understand?” he asks. “I got the equal sign down pretty well,” I say. “Ok, he continues. “Look at this.” He points at the first equation again. “h” he says, “is the height in the vertical direction assuming the ground is at h = 0, g is the acceleration due to gravity, 9.8 ms-2, and t is the time of flight. It is assumed that the particle starts with no initial velocity in the vertical direction. This can be solved for time, to give. This time will determine how long the particle will stay in the air based on gravity pulling down on it. The distance in the horizontal direction that it will travel during this time is given by, where d is the vertical distance, and vx is the horizontal velocity or wind speed. Substituting equation two into equation three gives. Assuming the tree is 30 feet, 9.1 meters, high, and wind speed is 30mph, 13.4 m/s, the wind shadow will be 18.6 meters, or about 61 feet. Not very far at all. It seems like a good idea, so I nod my head. I’d have a hard time saying about 005. It certainly might be. It’s wide with varied species and planted along a roadway with a wide offset (allowing snow to drift without covering the road). The thing that makes me uncertain is the tall row of cotton woods (looks like anyway) on the top seems to be on the outside of the belt rather than at the center. Ideally, these were in the middle rows with progressively shorter species to each side. That might mean the belt was “narrowed” or it might just be a different design. It also appears that there are shrubs planted along either side as sort of an understory planting, another characteristic of especially the earlier SB plantings. The Soil Conservation Service also started planting belts in the 30s and continued to do so right up to today. I haven’t seen many recent plantings in the central plains, but the few I have seen have all been conifers planted in a staggered 2-3 rows. I think they may have planted wider more varied belts in the Northern Plains for longer though…but going on the belts I’ve seen pictured in Soil Conservation, I would say these were typically only 1 or maybe 3 species. All of which makes me *think* 005 is probably a SB or early SCS shelterbelt. The 0015 looks more like a woodlot. I suppose it might have once been a shelterbelt that was cut off, but I doubt it by the arrangement of the trees. The rows are uneven, and I can’t see much in the way of a “hipped roof” design (lowest at sides to tallest in the middle), of course given the age, that isn’t a sure sign. The other “off” thing about 0015 is its distance to the roadway. Too close. Maybe the road, and even house were put in later though… There were a variety of programs (Clarke McNary, SCS) that helped farmers put in windbreaks like this. Some even pre-date the SB. My guess would be 0015 was one of these. Nice pictures. I guess the hard part is going to be figuring out which is which. Imagine either the hope or the hubris. At its peak they contemplated literally dividing the United States in half with evenly spaced shelterbelts, running like unbroken corn rows from the Canadian border to the Gulf of Mexico. 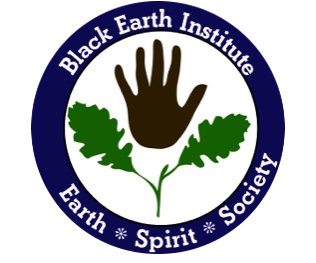 This grand reorganization would tame nature and stabilize the economy and society. Paul and I stare at his equations. “As a physicist, you’re going to look at this idea and this map and you’re going to say this is going to work?” I ask. “That still leaves 4/5ths of a mile for the wind to get new soil,” I say. In the back of my head I remember something about the mechanics of wind blowing over water, and how something called a long fetch length can make for tremendous waves, and I have a sudden feeling that this math would apply here too. But it’s clear the formulas don’t all agree and we get caught up trying to solve the math problems with the calculators in our cell phones. Gerry and I turn the airplane back toward the south and the Sheyenne National Grasslands. The Sheyenne River meanders in front of us and for a moment I consider dropping down to buzz the trees and water course. Just a moment to play, to bank the wings and climb and dive. The trees are thick and everywhere. South of the river, the treelines multiply and cut the sections into chess squares and frames. But the windspeed indicator bumps up toward 30 knots and I am a bit concerned. With the wind at that speed, coming dead out of the north, I will be able to nearly hover this airplane into a feather –light landing. But if the direction shifts a bit I’ll have a crosswind landing that may exceed my comfort and talent. It might be time to turn toward home. I point the front of the airplane at the rising earth. No longer the ancient lakebed flat of home, the terrain around the river and beyond it rises and folds and twists. It’s all very pretty. The harvested fields, all brown, set off the greens and golds of the woods. “Is that the Agassiz shore line?” I ask. I am amazed. We climb 500 feet for a better view and there it is, a river delta I’ve never seen in landscape I’ve travelled for decades. One more story to add to knowing where you are. Huge, I think. Magnificent and enormous. I want to linger but the wind is pushing hard against this little airplane and good judgment says it’s time to land. We turn the airplane north and soon there are hardly any trees at all. No wall. Nothing that says this was once the site of disaster and then the hope to defeat it. No mark on the ground says this is the site of something large. Either the wall didn’t work or the desire grew weak. Maybe it started to rain enough to keep the dirt in place. Maybe we just learned where and when and how to turn the soil. It’s been nearly eighty years. Maybe the trees just got old and died, their wood a comfort in some bonfire or fireplace. Build a wall, someone said. We’ve been doing it forever. They are temporary at best. One thing is constant and sure, however. I listen as the men and women in the Fargo control tower give wind speed and direction to every landing airplane. And I know that every pilot pays attention. You can push your airplane against the wind, but only to a compromise or a standstill. There is no such thing as winning. A draw is the best of all possible worlds. South of the Sheyenne River. W. Scott Olsen is a professor of English at Concordia College in Moorhead, MN, where he also edits the literary magazine Ascent. 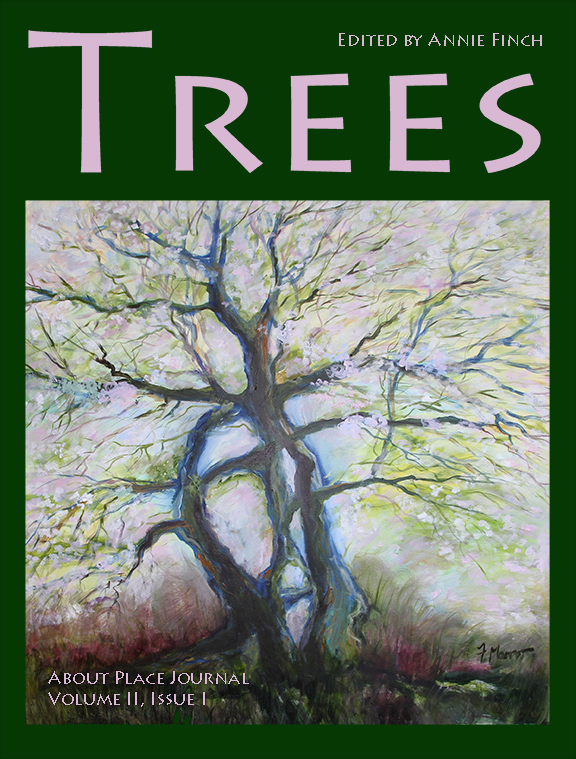 “A Wall of Old Trees” is taken from Prairie Sky, his tenth book, which will appear this fall.